Monday/Tuesday 11-12 September Web indicators summer school. Tuesday 10 October at 12 outside the MD library, then discussion in MC238 from 1pm. Tuesday 12 December at 12 outside the MD library, then discussions in room MC406. End of year evening dinner at 6.30pm Tuesday 12 December at Mystic Grill Dosa, 25 Market Street, Wolverhampton. Tuesday **6** February 2018 at 12 outside the MD library, then discussions in room MC232. Hypothesis: The accuracy of a person’s psychological stress and relaxation magnitude measurement from his social media content can be improved by incorporating word sense disambiguation. The causal agents of stress and relaxation can be inferred from the social media output. Research Questions: Can the accuracy of psychological stress or relaxation strength detection from social media content be improved using word sense disambiguation? Can the Aspect Based Sentiment Analysis methods to detect keywords in tweets be used for identifying causal agents of stress and relaxation from social media content? Abstract: Citation Context Analysis has obtained the interest of many researchers in the field of bibliometrics. To do this, the first step is to extract the context of each citation from a citing paper. We proposed a novel unsupervised approach for the identification of implicit citation sentences without attaching a citation tag. Our approach selects the neighboring sentences around an explicit citation sentence as candidate sentences, calculates the similarity between a candidate sentence and a cited or citing paper, and deems those that are more similar to the cited paper to be implicit citation sentences. To calculate text similarity, we proposed four methods based on the Doc2vec model, the Vector Space Model (VSM) and the LDA model respectively. The experiment results showed that the hybrid method combing the probabilistic TF-IDF weighted VSM with the TF-IDF weighted Doc2vec obtained the best performance. Compared against other supervised methods, our approach does not need any annotated training corpus, and thus can be easy to apply to other domains in theory. 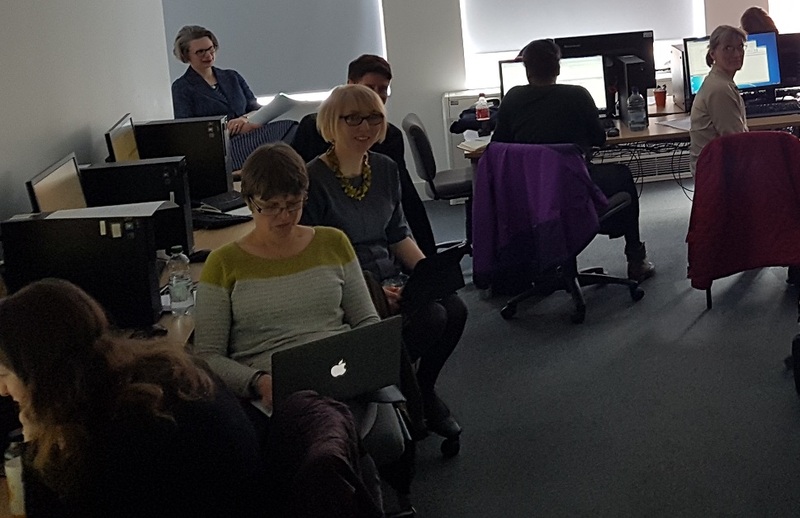 Monday 26 March 2018: Statistics for Responsible Bibliometrics training day in Wolverhampton (MI133). Slides used by all presenters on the day are here. Current work on the format of titles in the WOS (World of Science) and related issues. Guillaume Cabanac & Gilles Hubert, Computer Science Department, University of Toulouse 3, France. Tuesday 10 July 2018 at 12 outside the MD library, then discussions in room ML120. Thursday/Friday 11-12 September Web indicators summer school. Tuesday Sep 13 at 1-3pm in MC224, meeting first at 12 on the ground floor of MD outside the inside entrance to the library to go for lunch. Tuesday Oct 11 at 1-3pm in MC131, meeting first at 12 on the ground floor of MD outside the inside entrance to the library to go for lunch. Tuesday Nov 15 at 1-3pm in MC406, meeting first at 12 on the ground floor of MD outside the inside entrance to the library to go for lunch. Tuesday Dec 13 at *3.30pm* in MC415. Also, Xmas event in the evening of Tuesday December 13; 6.30pm at the Dilshad, 40/43 Berry Street, WV1 1HA. Tuesday Jan 17 at 1-3pm in MC238 [possibly moving at 2pm], meeting first at 12 on the ground floor of MD outside the inside entrance to the library to go for lunch. Tuesday Feb 14 at 1-3pm in MC408, meeting first at 12 on the ground floor of MD outside the inside entrance to the library to go for lunch. Tuesday Mar 14 at 1-3pm in MA028, meeting first at 12 on the ground floor of MD outside the inside entrance to the library to go for lunch. Tuesday Apr 11 at 1-3pm in MC232, meeting first at 12 on the ground floor of MD outside the inside entrance to the library to go for lunch. MONDAY May 15 at 1-3pm in MC232 meeting first at 12 on the ground floor of MD outside the inside entrance to the library to go for lunch. Tuesday Jun 13 at 1-3pm in the student canteen, meeting first at 12 on the ground floor of MD outside the inside entrance to the library to go for lunch. Tuesday Jul 11 at 1-3pm in MC229, meeting first at 12 on the ground floor of MD outside the inside entrance to the library to go for lunch. Tuesday Sep 15 at 1-3pm in the student canteen, meeting first at 12 on the ground floor of MD outside the inside entrance to the library to go for lunch. Tuesday Oct 13 at 1-3pm in the student canteen, meeting first at 12 on the ground floor of MD outside the inside entrance to the library to go for lunch. Tuesday Nov 17 at 1-3pm in MI301, meeting first at 12 on the ground floor of MD outside the inside entrance to the library to go for lunch. Tuesday Dec 15 at 3.30pm in MC408 - please meet in MC408. Xmas dinner 6.30 at Al Rayan, 22-24 Broad Street in Wolverhampton city centre. Tuesday Jan 12 at 1-3pm in MU112, meeting first at 12 on the ground floor of MD outside the inside entrance to the library to go for lunch. Tuesday Feb 16 at 1-3pm in MI310, meeting first in the student canteen, meeting first at 12 on the ground floor of MD outside the inside entrance to the library to go for lunch. Tuesday Mar 15 at 1-3pm in MI301, meeting first at 12 on the ground floor of MD outside the inside entrance to the library to go for lunch. Tuesday April 5 at 2-3pm in MX004. External speaker: Michael Levitt, professor of structural biology at Stanford University and Nobel Prize Laureate, "Birth & Future of Multiscale Modeling of Macromolecules". Professor Levitt will give a public lecture about the research that led to his 2013 Nobel prize in Chemistry. He will also describe an informetric study of research funded by the National Institutes of Health (NIH) in the USA. Follow-up meeting 3.15-4.15 in MC408 for the cybermetrics group. Tuesday Apr 12 at 1-3pm in MI301, meeting first at 12 on the ground floor of MD outside the inside entrance to the library to go for lunch. Tuesday May 17 at 1-3pm in MD163, meeting first at 12 on the ground floor of MD outside the inside entrance to the library to go for lunch. Tuesday Jun 14 at 1-3pm in the student canteen, meeting first at 12 on the ground floor of MD outside the inside entrance to the library to go for lunch. Tuesday July 12 at 1-3pm in MC201, meeting first at 12 on the ground floor of MD outside the inside entrance to the library to go for lunch. Tuesday July 26th: at 1-2pm in MC226, meeting first at 12 on the ground floor of MD outside the inside entrance to the library to go for lunch External speaker: Dr Dalibor Fiala, University of West Bohemia, Czech Republic. "New Informetric Methods for the Evaluation of Scientific Research". Abstract: This talk will show how the well-known PageRank algorithm, which was originally conceived by Google for ranking webpages, can also be used for the analysis of other systems. The talk will show how the PageRank formula can be applied to citation networks and modified in order to include the information from collaboration networks and publication dates. The second part of the talk will focus on a few databases that can be used for the assessment of scientists (e.g. Web of Science, DBLP, or CiteSeer) and will introduce a new indicator for the evaluation of the current performance of researchers. Wednesday 1 October 2-4pm in MC238, meeting at 12 on the MI 2nd floor to go for lunch. Wednesday 5 November 2-4pm in MC408, meeting at 12 on the ground floor of MD outside the inside entrance to the library to go for lunch. Wednesday 3 December 2-4pm in MC408, meeting at 12 on the ground floor of MD outside the inside entrance to the library to go for lunch. Thursday 15 January 2-4pm in MK204, meeting at 12 on the ground floor of MD outside the inside entrance to the library to go for lunch. Thursday 5 March 1-3pm, meeting at 12 on the ground floor of MD outside the inside entrance to the library to go for lunch in the student canteen. Thursday 2 April 1-3pm, meeting at 12 on the ground floor of MD outside the inside entrance to the library to go for lunch in the student canteen. **Tuesday 5 May 1-3pm, meeting at 12 on the ground floor of MD outside the inside entrance to the library to go for lunch in the student canteen. **Thursday 11 June 1-3pm, meeting at 12 on the ground floor of MD outside the inside entrance to the library to go for lunch in the student canteen. **Thursday 23 July 1-3pm, meeting at 12 on the ground floor of MD outside the inside entrance to the library to go for lunch in the student canteen. Thursday 26 September 2-4pm MA143a meeting at 12 on the MI 2nd floor to go for lunch. 5 November 2-4pm MK205, meeting at 12 on the MI 2nd floor to go for lunch. Monday 2 December evening, Scientometrics Festival Dinner, Made in Thai, 7pm. Guillaume Cabanac (University of Toulouse, France) "Scientometrics with information retrieval and psychology"
Giles Hubert (University of Toulouse, France) "A personalized contextual retrieval framework, for context processing and user preference processing @TREC 2012 Contextual Suggestion Track". Meet at 12.30 to go for lunch with the speakers and James Hartley of Keele University - please email Ehsan Mohammadi to let him know that you will attend. Thursday 5 December, 1-2pm MC225. Three external talks with the theme "Research Evaluation, Altmetrics and Academic Publishing at Elsevier"
7 January 2-4pm MC224, meeting at 12 on the MI 2nd floor to go for lunch. 4 February 2-4pm MC326, meeting at 12 on the MI 2nd floor to go for lunch. 4 March 2-4pm MK204, meeting at 12 on the MI 2nd floor to go for lunch. 8 April 2-3pm MC224, meeting at 12 on the MI 2nd floor to go for lunch. 6 May 2-4pm MC225 **room change**, meeting at 12 on the MI 2nd floor to go for lunch. 3 June 2-4pm MC224, meeting at 12 on the MI 2nd floor to go for lunch. 1 July 2-4pm MC224, meeting at 12 on the MI 2nd floor to go for lunch. 2 October 2-4pm MI307 meeting at 12 on the MI 2nd floor to go for lunch. 6 November 2-4pm MI025, meeting at 12 on the MI 2nd floor to go for lunch. 4 December 2-4pm MI025, meeting at 12 on the MI 2nd floor to go for lunch. 15 January 2-4pm MI025, meeting at 12 on the MI 2nd floor to go for lunch. 9 April 2-4pm MC022, meeting at 12 on the MI 2nd floor to go for lunch. 11 April 1-2pm MC224, Truyken Ossenblok, University of Antwerp: Publication patterns, policy influence and measuring collaboration in the social sciences and humanities with the VABB-SHW Flemish publication database. 7 May 2-4pm MI025, meeting at 12 on the MI 2nd floor to go for lunch. 4 June 2-4pm MI025, meeting at 12 on the MI 2nd floor to go for lunch. 24 June 1-2pm MC225, Thomas Scholz, Heinrich-Heine-Universität Düsseldorf, Institut für Informatik Datenbanken und Informationssysteme: Linguistic Sentiment Features for Newspaper Opinion Mining. 3 July evening (Wednesday) end of year social event. 4 July 2-4pm (Thursday) MI025, meeting at 12 on the MI 2nd floor to go for lunch. For evidence-based S&T policy decision-making, scientific evidence is very important. Bibliometrics offers a great way to investigate the facts and trends in S&T development. How to take advantage of bibliometric analysis to get reasonable evidence is a topic worthy of exploring. This talk will focus on two investigations: 1) In terms of international scientific collaboration, how does collaboration contribute to BRIC countries’ scientific performance, especially in most important research as indicated in highly cited articles; 2) How can science mapping serve decision making on priority-setting in research policy. Scientific collaboration and endorsement have been well-established research topics utilizing three kinds of methods: survey/questionnaires, bibliometrics, and complex network analysis. Still there are many interesting questions remaining unanswered. This paper applies the combination of topic modeling and path-finding algorithms to address some of them, such as, whether productive authors like to collaborate with or cite researchers with same or different interests, and whether highly cited authors like to collaborate with or cite each other. Taking Information Retrieval as a test field, we found that productive authors tend to directly coauthor with and closely cite colleagues sharing same research interests; they do not directly collaborate with but closely cite colleagues having different research topics; and highly cited authors indirectly coauthor with but closely cite each other. This talk will explore the use of academic genealogy networks to explore the formation, maturation, and intersection of disciplines. Using LIS as a case study, this presentation will explore the potential applications of these networks for providing empirical evidence to describe the development of disciplines. The talk focus on issues of maturation and interdisciplinarity and will review potential sources and tools for collecting and analyzing academic genealogy networks. Future research and broad applications for this topic will be discussed. Prof. of Waseda University, Japan. The presentation will focus on achieving high rankings on search engine result pages, with special reference to the negative factors. If designers place too much emphasis on for example inlinks or keyword density, search engines could define this as spamdexing, resulting in the website being banned from its index. If the website is mission-critical, such as an e-commerce based website, banning could be catastrophical for the company. A researched ranking scale is provided to weight these elements. Agent Based Simulation: A virtual Laboratory for the Social Sciences? This talk will give a quick introduction to Agent Based Simulation (ABS). ABS is a relatively new methodology to tackle social phenomena at the level of agent-agent and agent-environment interaction. By presenting example simulations the talk is intended to show how ABS can be seen as a virtual laboratory for the social sciences. Particular focus is given to the interaction of ‘real world’ data and simulation data for theory testing. Since 1984, the EU Framework Programmes have significantly advanced international research collaboration in Europe. The integration between collaborating R&D organisations has increased over time, as has the involvement of organisations within simultaneous multiple projects. The size and length of the ventures has increased. The networks have shown themselves to be highly durable, with collaboration - both between individual researchers and between research institutions - continuing after the initial joint projects. Yet little is known of the internal life of EU-funded R&D collaboration projects. The FP6 funded research project NEMO - Network Models, Governance and R&D collaboration networks - aims to investigate the interplay between political governance, structure and function in the European Framework Programmes, both at the programme and project levels. In this presentation I will outline some of the research activities currently conducted within the NEMO project. I will also take a closer look at intra-project collaboration and focus on individual projects and researchers. I will look at expectations and motivations of organisations and individuals researchers to participate in collaborative R&D projects; study criteria for partner choice in current and future R&D projects and look at intra-project linkages especially in terms of communication and joint knowledge production between the partners within different R&D collaboration projects. Through my recent research I am working to establish a framework for analyzing the evolution of news dissemination in online spaces. The initial study analyzes the flow of information in a network of online news sites. Social network theory and research on hyperlinked networks of Web pages were used to develop a model of information flow among groups of Web sites. Kleinberg’s authority-hub model is extended by introducing sources of information in the network. Examining linking patterns and the flow of information, the influence of a small number of central information hubs is analyzed as the result of their network positions. Significant support was found for a modified Source-Authority-Hub model, which shows the source, directionality, routing, and destination of news information flow through a network of authorities and hubs. This model demonstrates the ability of key Web sites to control the flow of news and information. Applications of the model to over-time data has the potential to predict future changes in the online news industry. This initial study lays a framework for conducting evolutionary analysis of the dissemination of digital information. In this talk, Monica Bulger will address the methodological challenges of empirically studying online literacy proficiency. She will discuss her use of monitoring software and log file extraction as tools for analyzing students’ information gathering and evaluation practices. Her study of 150 UCSB graduates and undergraduates reveals how college students gauge credibility and usefulness when evaluating online resources and further, how they use this information when composing academic texts. Image tagging: how do motivations to tag compare with tagging practices? Social networking services (SNS) such as Facebook and Orkut enable new research into the role of individual characteristics in friendship patterns and the diffusion of tastes in social networks. This paper assesses the opportunities and challenges posed by SNSs for empirical research into online social networks. It is argued that SNSs may eventually provide platforms for delivering social network analysis e-Research tools, and a prototype tool built using the OpenSocial API is presented. MyExperiment has been described as "Facebook for scientists"; this paper contends that that SNSs such as Facebook may eventually be described as "GridSphere for e-Social Scientists". If you wish to comment on the presentation, please go to Kim's blog. "Characteristics of .au websites: An analysis of large-scale Web crawl data"
What the *&^!$# is internet research? & how does it work? Prof. Melius Weideman, Head: Research Planning and Capacity Building, Cape Peninsula University of Technology, Cape Town, South Africa. Hyperlinks in academia: Some stylised facts and a first attempt at model development. Kayvan Kousha, University of Tehran, Iran. Meet at 12 on the research deck. Doctoral forum, Wolverhampton 11-1pm, MI225 - lunch afterwards. Doctoral forum, Wolverhampton 2-4pm, MC414. Doctoral forum, Wolverhampton 2-4pm, MC324. Doctoral forum, Wolverhampton 2-4pm, MX110. Doctoral forum, Wolverhampton 2-4pm, MC326. Meet at 12 at Alchemy. Doctoral forum, Wolverhampton MC414. 2-4pm: 5 minute presentation of a topic in your research followed by group discussion. Doctoral forum, Wolverhampton MC414. 2-4pm. Doctoral forum, Wolverhampton MC130. 2-4pm. Doctoral forum, Wolverhampton MC322. 2-4pm: 5 minute presentation of a topic in your research followed by group discussion. Doctoral forum, Wolverhampton MC415. 2-4pm. Doctoral forum, Wolverhampton MC232. 2-4pm. Doctoral forum, Wolverhampton MC322. 2-4pm. Doctoral forum, Wolverhampton MC326. 2-4pm. Doctoral forum, Wolverhampton MC416. 2-4pm. Doctoral forum, Wolverhampton MU219. 2-4pm: General discussion then discussing your own research project in pairs. Doctoral forum, Wolverhampton, 2-4pm MB407: Lunch 12.30-2pm in the Varsity. October 2nd week Doctoral forum, Wolverhampton. 2-4pm: General discussion then discussing your own research project in pairs. November 30 Doctoral forum, Wolverhampton MC324. 2-4pm: 5 minute presentation of a topic in your research followed by group discussion. Alesia Zuccala - Research Fellow (JISC digital repositories project) and head of cybermetrics technology transfer. Now a researcher at The Rathenau Institute, The Netherlands. 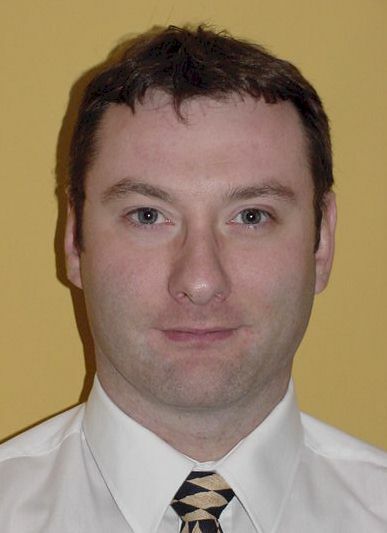 Gareth Harries - Honorary Research Fellow. Researching interdisciplinary linking on the web and academic hyperlink classification. 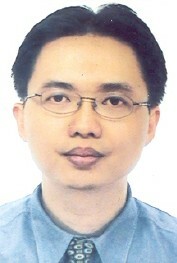 Rudy Prabowo - Former Research Fellow (EU CREEN project). Researching information extraction from blogs. Currently at College of Applied Sciences, Ibri, Oman. Sukhvinder Uppal - Assistant Psychologist/researcher working on the CyberEmotions project. Viv Cothey - Honorary Research Fellow (from EU WISER project). Researching link topology for European university web sites. Liz Price - member of staff. Researching statistical analysis of hyperlink data and supporting statistics. Also researches mathematical education. Nigel Payne - former PhD student. Researching longitudinal trends in academic linking using mathematical modelling. Stacey Lewis, Former PhD student. Researching tagging and tagging games for online videos. Patrick Kenekayoro, Lecturer at Niger Delta University, Nigeria. Former PhD student. Researching machine learning detection of motivations for linking in academic web pages. Georgios Paltoglou - Former Senior Lecturer in Computing, and postdoctoral research fellow, CyberEmotions project. Information retrieval and sentiment analysis, especially for informal Web text. Jiajia Yan - Former PhD student researching the statistics of medical image data processing.